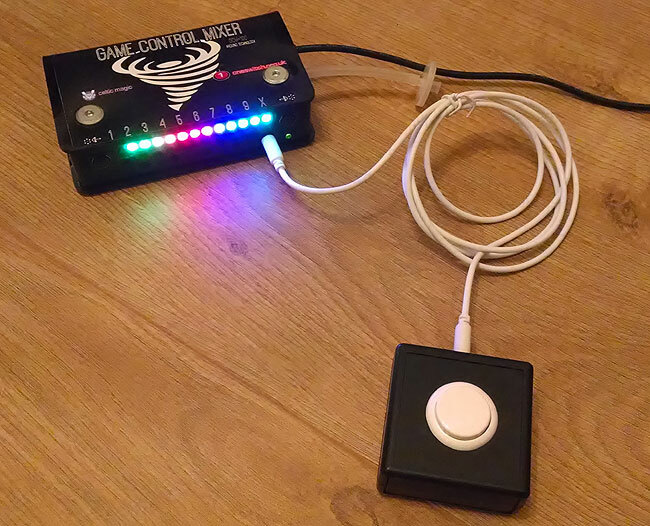 An accessibility standard switch using Sanwa arcade quality push-buttons. Different colours available upon request. 150cm high quality detachable 3.5mm cable. 66mm x 66mm x 33mm high. 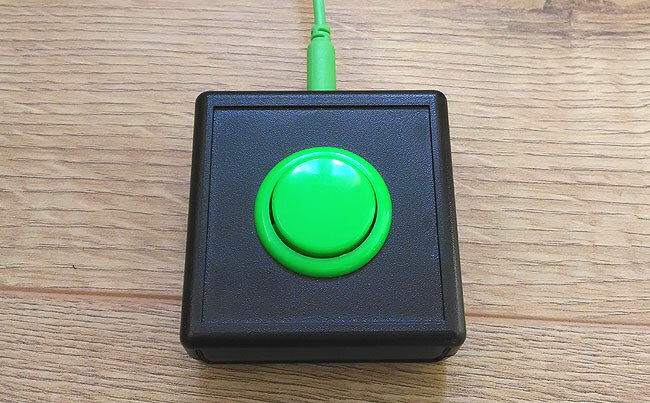 £30 special order switches can be fitted with a custom label fitted under a translucent cap. Fitted with hook Velcro. Compatible with Trabasack Curve and Maxcess boards. Loop Velcro available upon request. Please e-mail for further information or for ordering details. If you would prefer to go cheaper, please see our DIY guide. 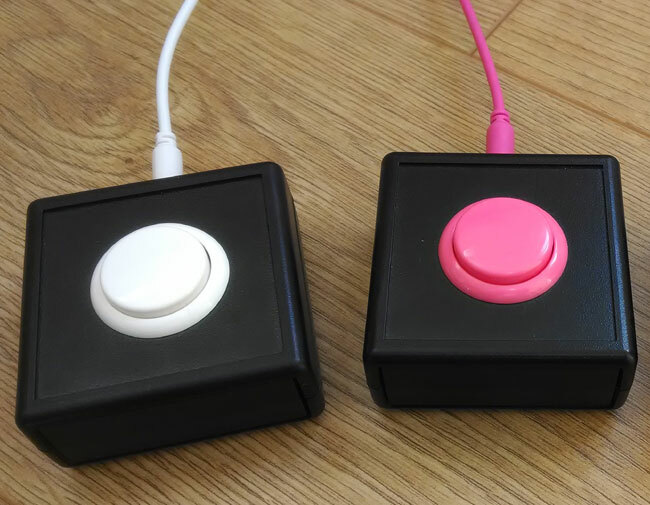 Blue, Yellow, Pink, White, Green, Red and clear buttons are available. 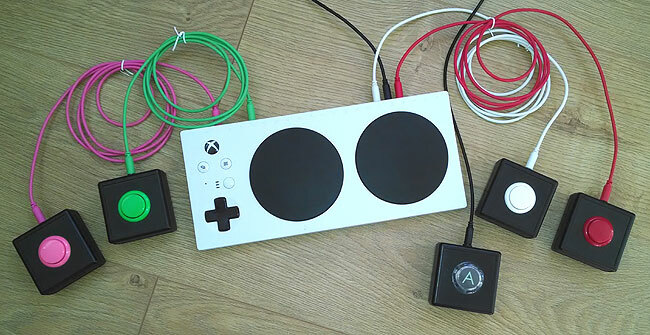 These switches will work on the Xbox Adaptive Controller, Game Control Mixer, C-SID and many other switch adapted toys and devices.